Wore a vintage dress and sandals. The items below were in the "SWAG" bag for VIP tickets. Fall collection inspired by Eurostreet wear. 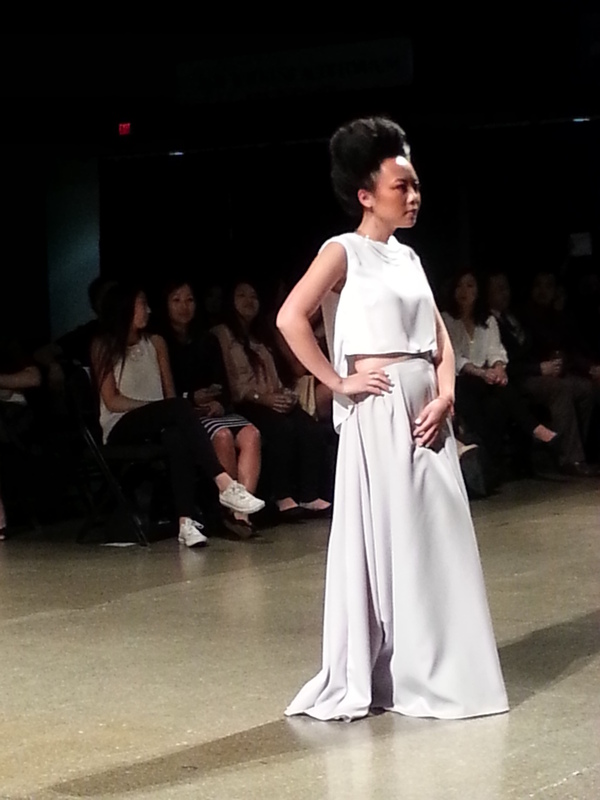 Line is inspired by traditional Hmong clothing, native American and Chinese Shaman. 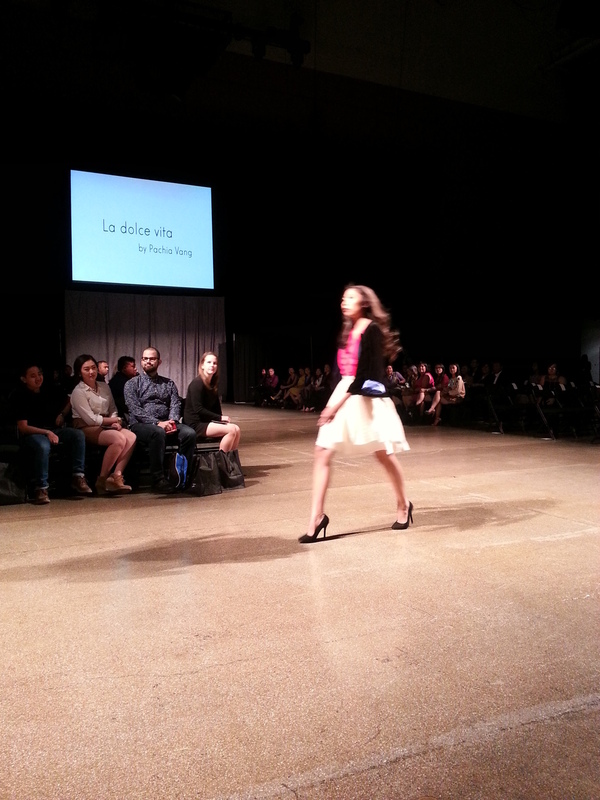 Inspired by Hmong and Indian fashions, evening wear. Ready to wear spring collection inspired by seasons of Minnesota. Collection inspired by the Aurora Borealis and futuristic aesthetics. 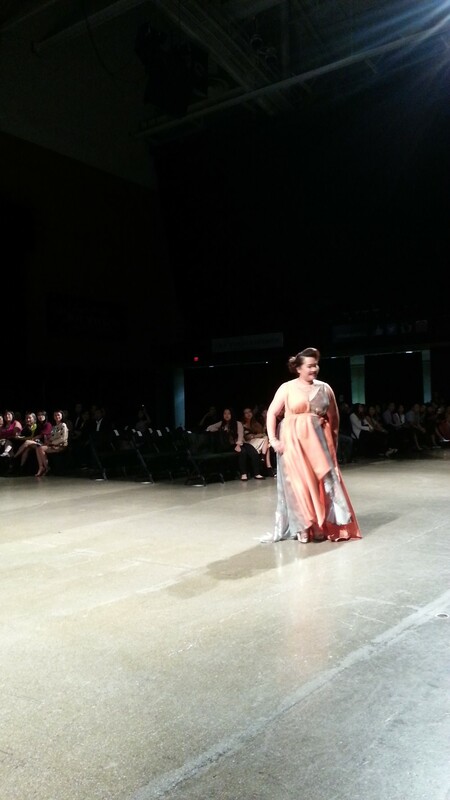 Kia Kehrer and Pa Houa Xiong's Challenge Piece coming down the runway. Pachia Vang, "La Dolce Vita"
Kia Kehrer/ Pa Houa Xiong, "Coalescence"
Culturally inspired fashion show by the Center for Hmong Arts and Talent.